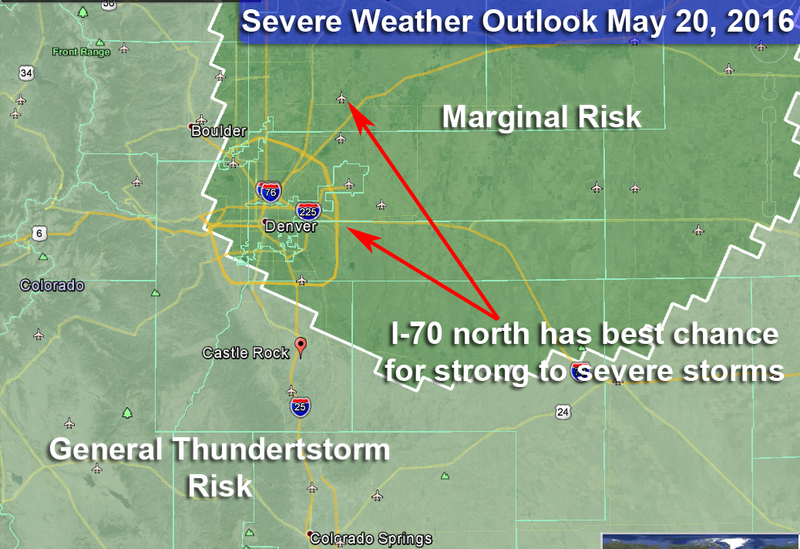 Initially the severe weather threat for Colorado existed well Northeast of Colorado today but the latest update shifts it Westward towards the Denver metro area. I had noticed some storms popping up on the models this morning but honestly given the strong ridge that is building in over Colorado I can’t see a wide-spread severe setup this afternoon. Some models show stronger storms forming over Denver and moving quickly Northeast by around 3PM or so. This is a big difference in modeling though, while the Nam4K shows discreet strong storms, the HRRR shows nothing but a blob of garden variety storms in the afternoon. We’ll go back to our old friend the Skew-T to try to make sense of this. 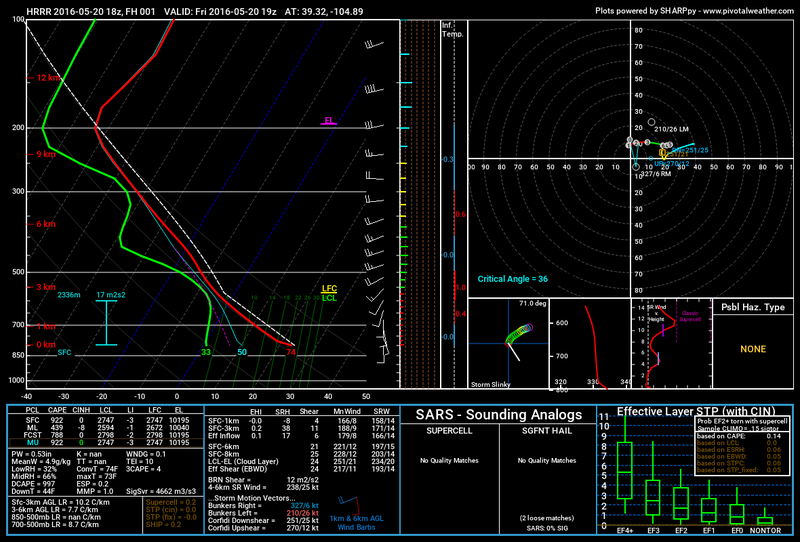 When I look at a 3PM forecast sounding over Douglas County I don’t see much that impresses me. So all in all, this screams “garden variety” thunderstorms at best for us along the Palmer Divide with a pop-up high based hail storm here and there. I see the best chance for any hailers North and East of Denver though. If you’re outside this afternoon, keep an eye out for these as they may contain some lightning and gusty winds. Any storms that form will move through quickly and stay somewhat disorganized for us South of Denver.